The position of the Video Director is to bring creative value and create a compelling visual broadcast. Specifically, the Video Director switches cameras and calls on other teammates to display b-roll, graphics and other visual informational and gives verbal cues to camera operators for shot preparation. Have you ever dreamed of being a financial news commentator? Come to Financial Issues Stewardship Ministries to be a co-host for the nationally syndicated, three-hour daily Financial radio and television program, Financial Issues with Dan Celia. You must be willing to be mentored as we minister to God’s people in their stewardship. You must be eager to grow in your financial analytical skills and look at macro and microeconomics, all for the propose of helping our listeners and viewers to have a greater understanding of the things that will positively and negatively affect their financial stewardship. All research, analysis, and teaching is done through the lens of a Biblical World View. As the co-host, you must have a good grasp of current news events. A background in finance is important and you cannot be actively working in the financial industry in any capacity. Any broadcast experience would be helpful but not necessary. Select a specific position to learn more about it and apply. Fill out the form below to apply (all fields are required). 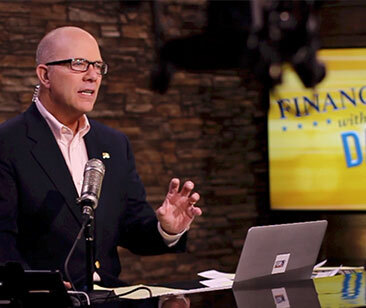 Growing Christian Nationally Syndicated talk show, Financial Issues with Dan Celia, is looking for passionate students to work alongside the Financial Issues broadcast production team. Students will be given hands-on training in a real-world broadcast production environment. Financial Issues is looking for humble students with faith in Christ that are ready to learn. Financial Issues is a live call-in nationally-syndicated Christian Financial radio/TV program that broadcasts from the greater Philadelphia, PA area. Financial Issues is currently on 650 radio stations and 3 TV networks. The position of the video switcher is to bring creative value to the program by switching cameras, displaying images and b-roll, graphics and other visual information. The Video Switcher acts as director of the program and gives verbal cues to camera operators for shot preparation. The Broadcast Graphics Producer will work to add visual value by displaying real-time graphics and text related to discussion on the program. The Graphics Producer will also schedule, start and stop the programs’ Live Stream. The Sound Engineer performs activities in the studio control room to ensure technical quality of sound for the Financial Issues video program feed and radio program syndication. The Call Screener answers phone calls from listeners or viewers that call into the program to ask Dan, our Host, a question. After answering calls the Screener will type in a concise version of each caller’s question to be read by our Host and the Broadcast Graphics Producer. In some cases the call screener will eliminate calls that are not within the subject matter of the program. The Camera Operator will control one-of-three front facing broadcast studio cameras. This operator will primarily operate an 8-foot jib with a studio camera mounted on a pan and tilt head. The Camera Operator will create smooth gliding shots that will enhance the look of the program. The TelePrompter Operator will run the TelePrompter for broadcasts. This operator will edit the program script text document and load it into the TelePrompter software. During the show the operator will run the TelePrompter at the pace that the talent reads.